Experiential marketing has been connecting brands with consumers for a long time, but some organizations still haven’t taken advantage of this extremely effective method! If you want to stand out, create great content and more, you need to consider experiential marketing. We have laid out some reasons why we believe that YOU should try an experiential approach. Experiential marketing will be different from anything that you have done before. Your audience may know your brand in some capacity, but when you give them a different experience, they will see another side of it. Lean Cuisine’s marketing efforts used to only focus on weight loss, until they did their #WeighThis installation at Grand Central Station. They invited participants to write down accomplishments that they preferred to be weighed on such as, being a single mom raising four kids, helping homeless people every day or being a talented artist. The display was unique, made multiple people stop and interact and showed the audience a different side of Lean Cuisine. The more creative the marketing experience, the more your brand will stand out! Coming up with different ways to engage your audience can be very effective and make for a successful campaign. Converse took the simple idea of food trucks and made it their own by turning a van into a mobile portrait studio. Locals of New York City and Los Angeles were invited to have their picture taken, then Converse used the photos for an outdoor advertising campaign in the two cities. This took the cost effective use of food trucks and turned it into an entire campaign that engaged their audience! Experiential marketing starts with collaboration, much like the Dropbox activation at SXSW 2018. 72andSunny partnered with Dropbox to create an experience that let artists collaborate and express their unique creative energies! The six artists were chosen, paired up and introduced to Dropbox Paper, a workspace where teams can create and share ideas. Each duo was given a theme as a prompt and then given the freedom to see where their imagination would take them! During the week of SXSW, the teams painted their murals live in front of passersby who stopped to see and photograph the completed works. This experiential activation was a way for the artists and audience to see how collaboration is executed through tools such as Dropbox Paper and how being empowered through creativity can help shape the world! Utilizing social media to post about your event can create very useful content. You can’t reach your entire target audience in person, which makes promoting the event on social an important way to reach a larger audience. You want your brand to continue to be talked about. Sometimes brands get caught up in creating a complex campaign that they don’t plan on how to engage people on social before, during and after the event. During the National Urban League Conference they had guests participate in Carpool Karaoke. 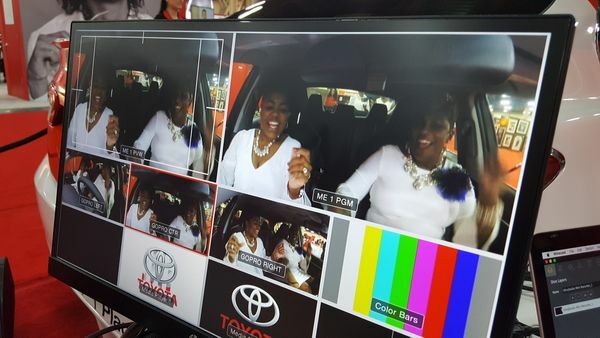 It was a big hit for people who attended the event and videos of the participants singing their favorite songs were posted to Toyota's YouTube page. However, Toyota didn’t have a plan to promote it through social media. In the end, the couple hundred attendees of the event had a lot of fun, but they could have reached tens of thousands of people through a well strategized social campaign! Some organizations or brands may stray away from experiential marketing because it seems out of reach for them. However, experiential marketing can be done on a budget. A creative and cost effective approach to experiential marketing was done by Nestle to promote their Natural Bliss Coffee Creamer. They created a pop-up coffee shop and in the spirit of being “all natural” the baristas served the customers naked with their clothes painted on. This campaign wasn’t some big production, but it managed to turn heads and get people talking. Marketers have a difficult time reaching millennials because they tend to block out most forms of traditional marketing. Experiential marketing is the key to reaching this demographic because they love experiences! While attending festivals, shopping malls or sporting events, millennials can be reached with experiential marketing. Your brand should insert itself into their environment, ensuring that they will notice it. When Hyundai partnered with “The Walking Dead”, a show that many millennials enjoy, they were noticed. At New York Comic-Con, Hyundai designed a post-apocalyptic farmhouse. 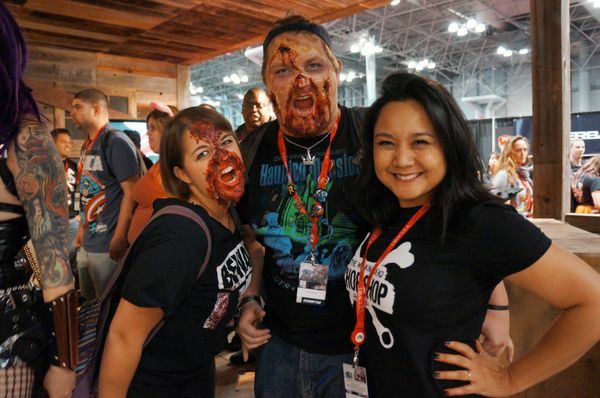 Attendees stepped inside where a special-effects makeup artist made them into zombies. Then, they took part in an interactive photo activation featuring the latest Hyundai Santa Fe Survival Machine. Hyundai partnering with a popular television show was an effective way to reach that specific audience while also making sure that audience recognized their brand! These are just some of the many reasons why experiential marketing can be effective for your brand! Creating interactive experiences for your audience will get them talking and keep them interested in you. Don’t be afraid to get creative and step outside the box, you won’t regret it!